I never wanted to plan anything. Every time I got behind on my work or missed an important date, I made excuses. Schedules and planners just didn’t work for me I’d proclaim, but really I just wasn’t used to using them. After wearing myself out trying to keep track of things in my head and on post-it notes, I decided I needed a better way. That was years ago. Now, I plan out most everything including our homeschooling day. God has given me a limited amount of time and I want to use it wisely. Plus, it’s just easier and helps me get more done. 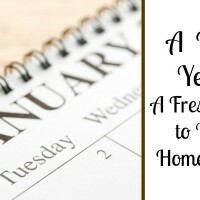 For years, I used printable planners and excel worksheets. That’s why I’m so excited to show you how to make easy lesson plans online with Lessontrek. 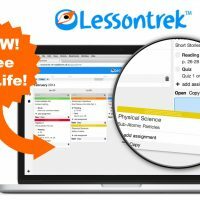 I was sponsored by Lessontrek to review their homeschool lesson planning tool and am excited to share my experience as well as an awesome giveaway! All opinions are mine alone. For more information please read my full disclosure. 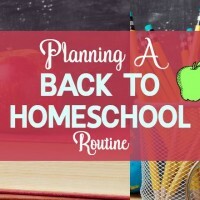 Even though we have a relaxed homeschool schedule, I want my daughters to develop a healthy routine and get used to planning their day. That way they don’t run into the same problems I used to. By planning out our week, everyone knows what they should be doing that day and we never miss an important date. You might not want to plan every detail, but it certainly helps meet goals and keep track of activities. Remember that lesson plans are to help you, not to be your master. Don’t think of it as the rule and get frustrated for not completing it. Think of it as a compass; it will help guide you in the right direction if you need it. 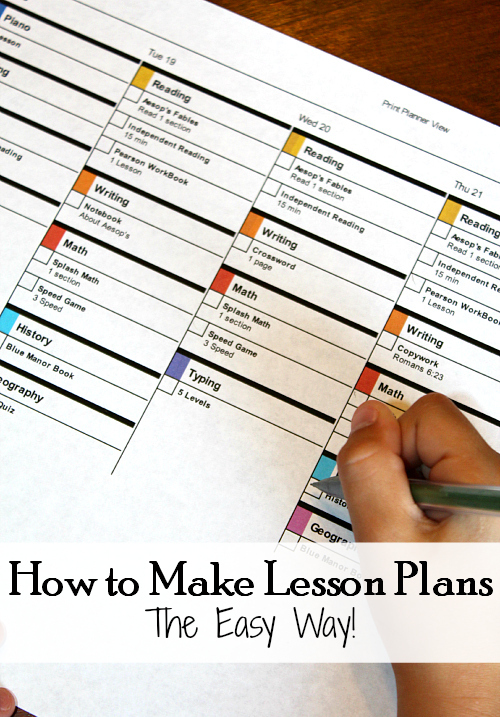 Lessontrek helps you plan lessons quickly and easily. You never have to worry about losing them, spilling something on them, or having to spend a lot of money to recover them from a broken computer. There are no papers to deal with if you don’t want to and it takes half the time to complete. With Lessontrek, I simply map out my routine for the week and copy and paste that routine onto the whole year. Then, I fill out individual assignments for the month. I like to do it monthly that way I can adjust if my child is moving fast or if she needs extra time on a subject. After I have everything scheduled. I can print it out as a guide for my eldest daughter. 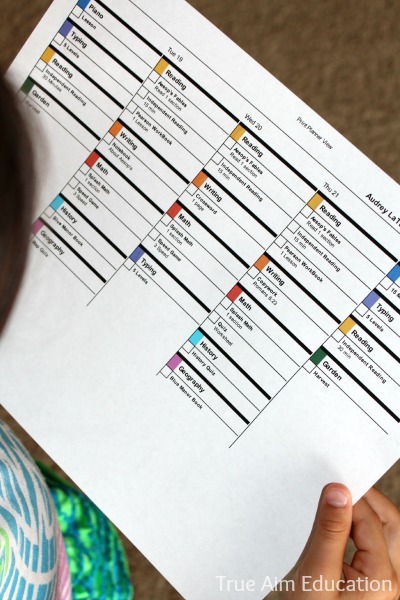 She feels independent being able to manage and check off her tasks each day. 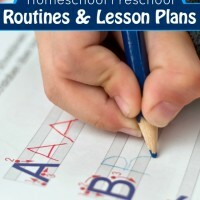 I also use it to plan learning activities for my 2 preschool aged children. The tool has drag and drop features that makes it easier than any other tool to reschedule your week. It took me just minutes to learn how to use Lessontrek and plan out my first week. It is the most affordable planning tool on the market and you can try it for FREE with a trial account. Don’t wait to get started managing your time and getting more done with Lessontrek. 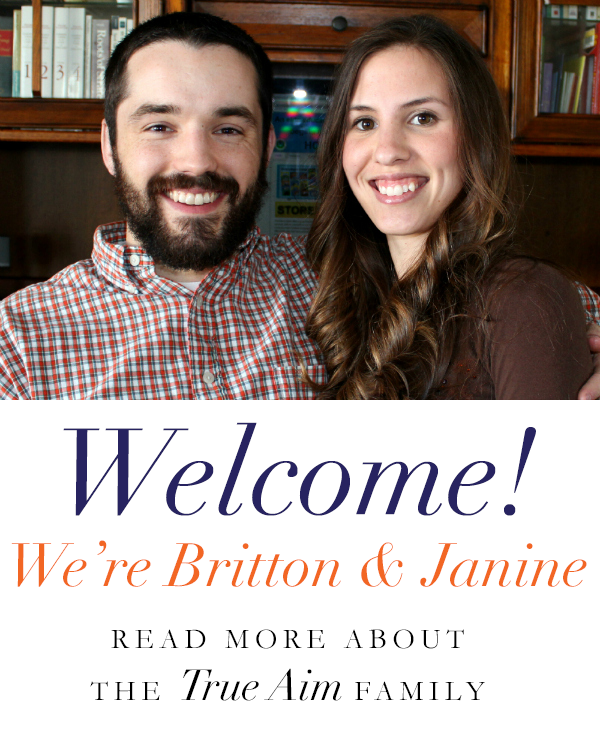 Get a lifetime membership for free when you subscribe to our newsletter! Or, get the full version for just $20 a year! Use code EBK20 under the Annual plan option. 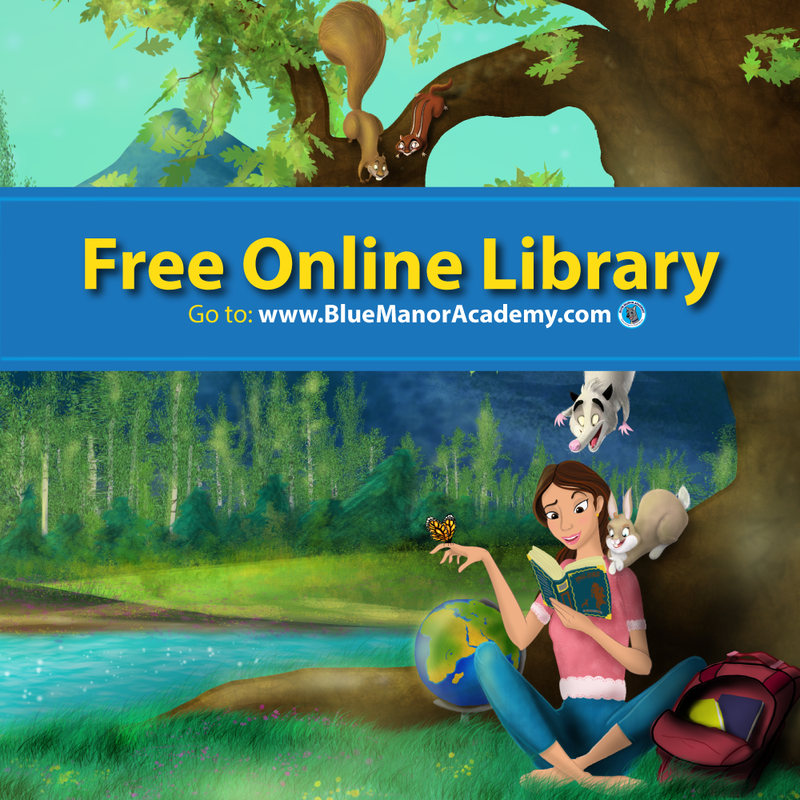 To see just how easy it is to set up your lesson plans, watch the video below and meet the founder! I just started using Lessontrek and saw you have checkboxes, can you PLEASE tell me how you got these checkboxes???? Thank you! Cordelia recently posted…Language Learning Barriers: This Month’s Multilingual Blogging Carnival! This planner looks awesome and so user friendly, I can’t wait to use it. Quick question though, I started the free trial today which will end on 8/21/14. In my account I added my personal info along with the Discount Code which expires on 8/18/14, will I still get the discount even though my free trial ends and my first billing will be after the coupon expires. Yes, I should still be applied. Sorry I just checked my email and it now shows the discount. Hi I bought this and am trying to print it out but there’s no color. Can you tell me the steps you took to get to print with the color coding? Thank you! I love it so far! Hi Ginnie, I had a little trouble at first. It has to do with your printer preferences. After you click ‘print week’ right click on the screen and choose ‘print’ again. Then it should bring up your printer’s options and you can choose color and make sure ‘background color and images’ is check marked. I”m having the same problem printing colors. I’ve done everything you’ve said above and it still does black and white. Thoughts? Maybe after you bring up your printer’s options, there is another option and it says print using system dialog… There might be some settings in there you can change. I’m sorry! I forgot what I did last time. I have 6 kids, and 3 I plan for. I think this will save me a lot of time! This is just what I was looking for, thank you!! My kids have been asking for something like this for months. I signed up for the 3 month trial using the code you provided and just finished setting up our first week. Thanks very much for posting about Lessontrek! Having a problem that I’m hoping you can help with. I took your advice, went to the web site of Lesson Trek and tried it out. I went ahead and signed up for it. I was able to get two days of lesson planning done and closed it out. Now I cannot re-enter the site. When I try to log in, I get an error message. When I try to click on the “contact us” link, I get nothing. Yet the payment transaction did go through. Any suggestions? Has anyone else experienced this problem? Hi Jane! I’m so sorry you are having trouble. Did you sign up for the trial first? It sounds like an account error. Could you try a different email or password? I will contact Lessontrek myself and let them know what is going on. Thanks so much!